Founded by: Macmillan Publishers Ltd. 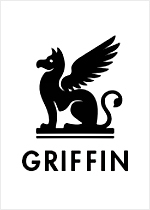 The Griffin imprint for St. Martin's Press has been a small, varied- focus success story. For the most part, Griffin puts out titles on popular new topics, or successful reprints. The imprint does a balance of new titles to reprints of established titles. Geoff Ryman's noted "253" is a good example. St Martin's Press only accepts submissions through an agency.